Hi all! I some more card kit inspiration for you today! The flower images in the August 2018 Card Kit are gorgeous! 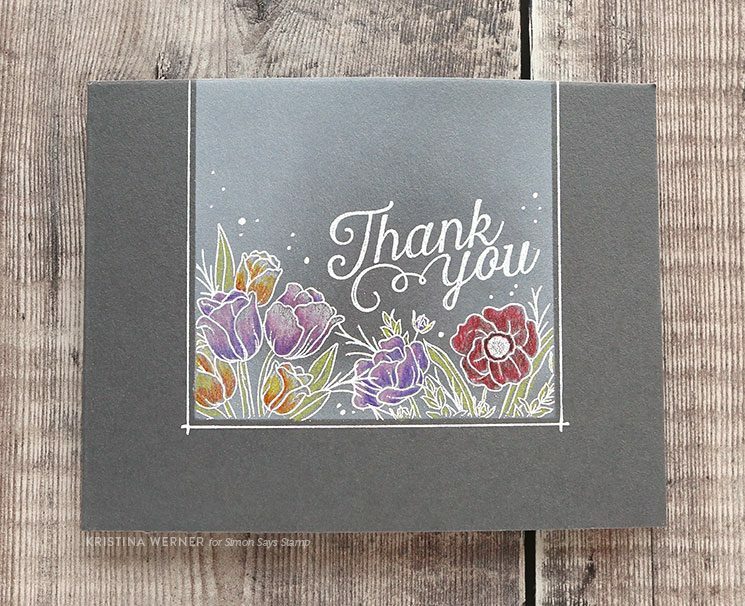 I couldn’t resist creating a one-layer card using the Mandy’s Flower Shed stamp set. I love the look of colored pencil on a dark surface, so I used some Slate cardstock as my card base. I wanted just the flowers (the tops of the jar image and flower pot image), so I masked off the bottom and sides of the card and stamped the tops of those images in VersaMark Ink. I applied some white embossing powder and then heat set it. 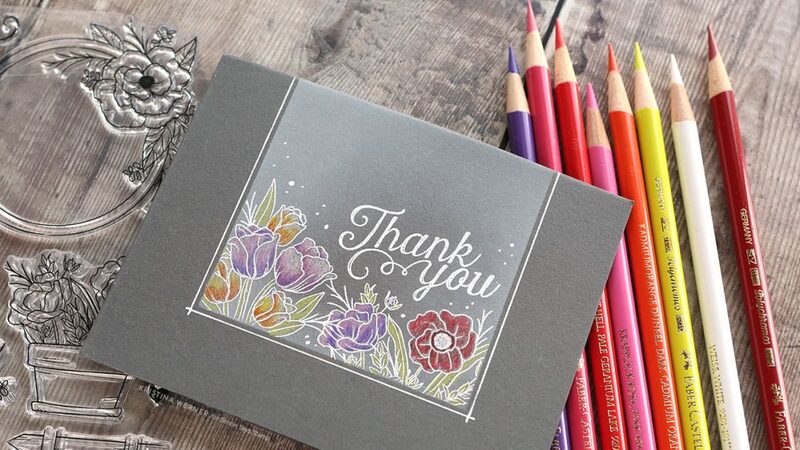 I also stamped and embossed the “Thank You” from the stamp set. Before removing the masking, I ink blended some white pigment ink around the area. Then I colored the flowers and leaves with Faber-Castell Polychromos colored pencils. For the flowers, I first colored a light layer of white and then added colors on top. This makes the colors more vibrant. I hope you enjoy today’s card! You can pick up the August 2018 Card Kit here, or you can subscribe to receive this kit and future kits. Stamping / Embossing on Buttons + Giveaway! 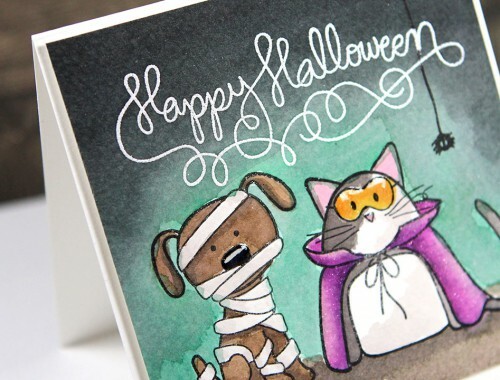 Halloween Watercoloring & Stamptember Blog Hop!